This message is beautiful, and we guarantee that she will treasure it forever. The inside of the card includes a printed message, reading: Happy Birthday with all my love. 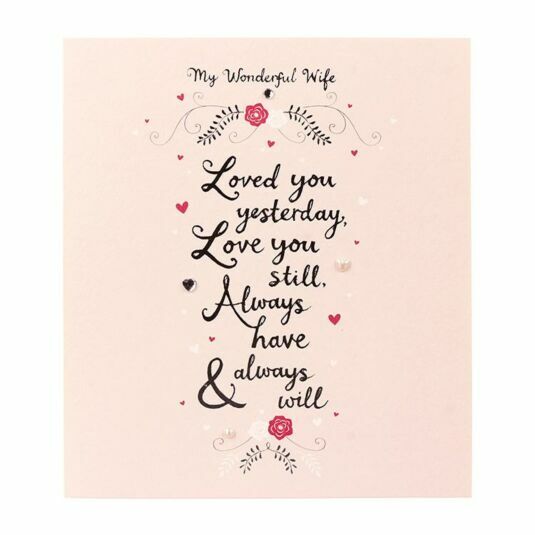 It is the perfect birthday card for showing your wife how much she means to you!